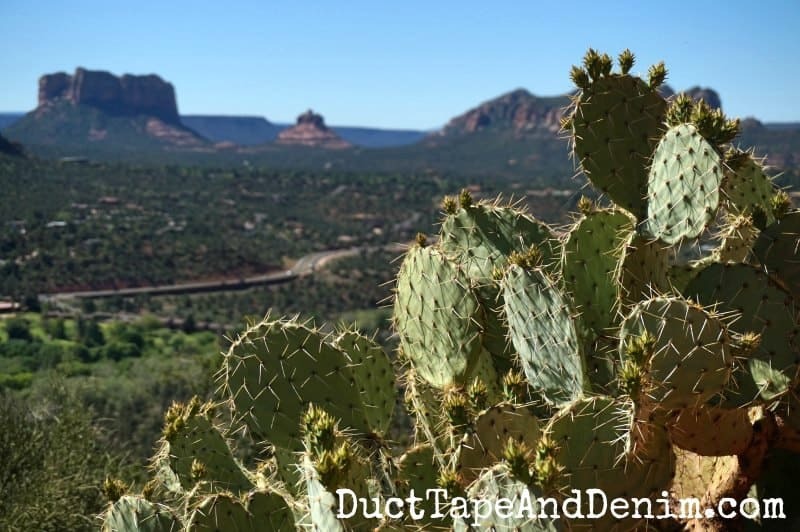 Arizona Road Trip Playlist, Family Friendly, Sing-a-Long in the Car! This shop has been compensated by Collective Bias, Inc. and its advertiser. All opinions are mine alone. #RoadTripTreats #CollectiveBias How long can you ride in a car without losing your mind? We recently went on a road trip hitting several National Parks through California, Utah, and Arizona and I knew we were in for LONG hours of driving and many miles of seeing “nothing” through the desert. So before we left I put together playlists for different areas we’d be driving through. 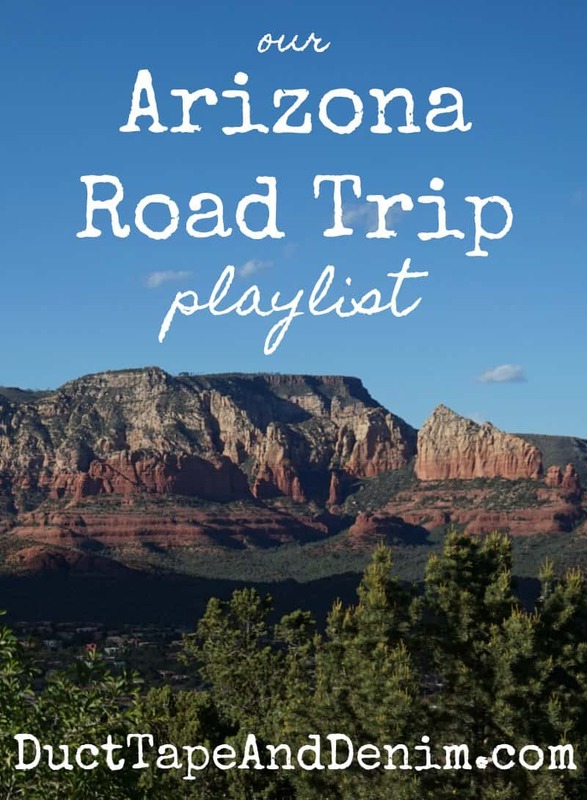 Today I’m sharing our Arizona road trip playlist. And thanks to today’s sponsor! They’re also giving away $3400 worth of prizes (including a $500 Walmart gift card and a Yeti cooler) so go tell them about your summer road trip for a chance to win! Yes, this list is full of completely random styles and artists but we found that kept our interest much better on the long ride. It made for some fun sing-a-longs, too. Everyone had a favorite style or song in the mix. A few of the songs actually talked about Arizona or cities in the state, others were by artists from Arizona, and others just talked about driving or taking trips. I also had to think ahead about snacks. Let me tell you… you can drive for hours out here without seeing a store. And sometimes when you find one they’ve jacked up the prices ’cause they know you don’t have an option. So we brought as many snacks and drinks with us as we could. 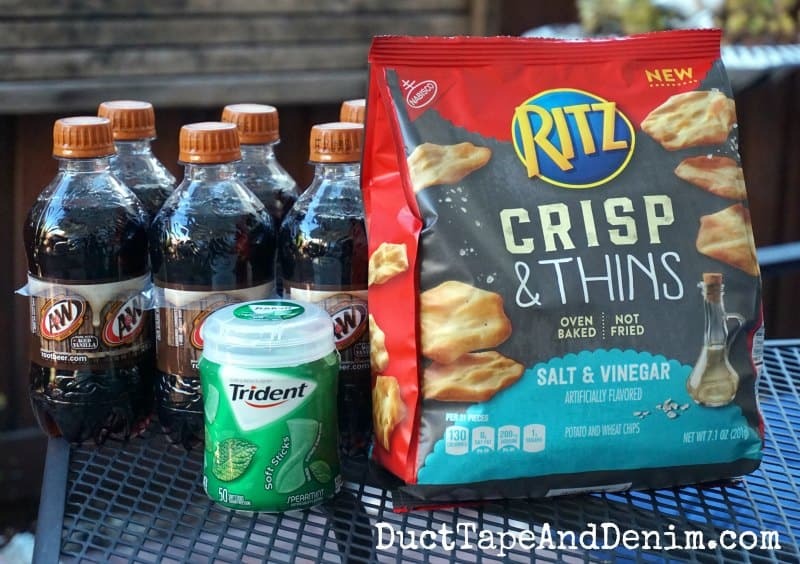 These RITZ Crisp&Thins were the big hit on our last trip! 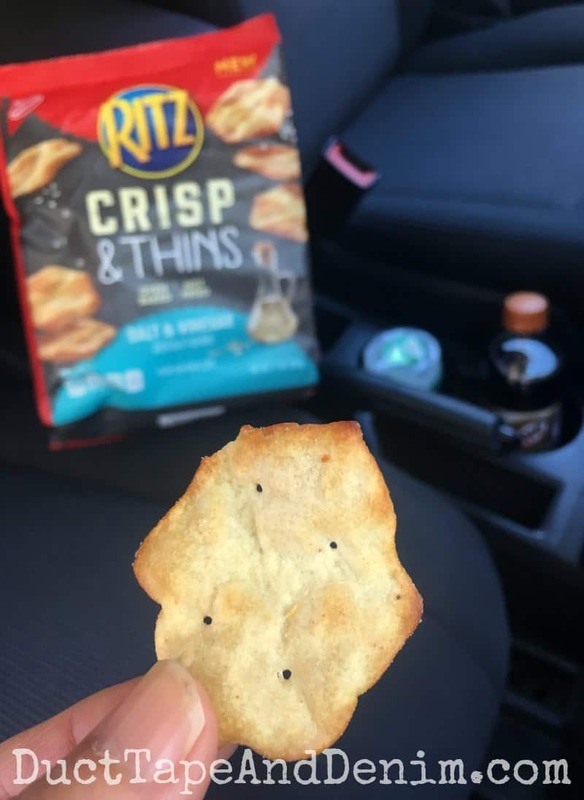 They really are super crisp. They’re baked so they have 50% less fat than fried potato chips. I packed lots of veggies, too. Then we washed it all down with A&W® root beer. Hubby prefers drinks with no caffeine. We got the 12 oz 8 pack of plastic bottles so we could reseal them, too, if we didn’t finish one. This was one of the times we had to stop on the side of the road to eat. We just pulled over and had lunch in the middle of nowhere! Good thing we brought food with us! Here’s our play list for Arizona. Which is your favorite? I love that the TRIDENT gum fits right in the cup holder. The 50 pieces of gum inside are not wrapped, making it easy to pop them in your mouth while on a road trip. 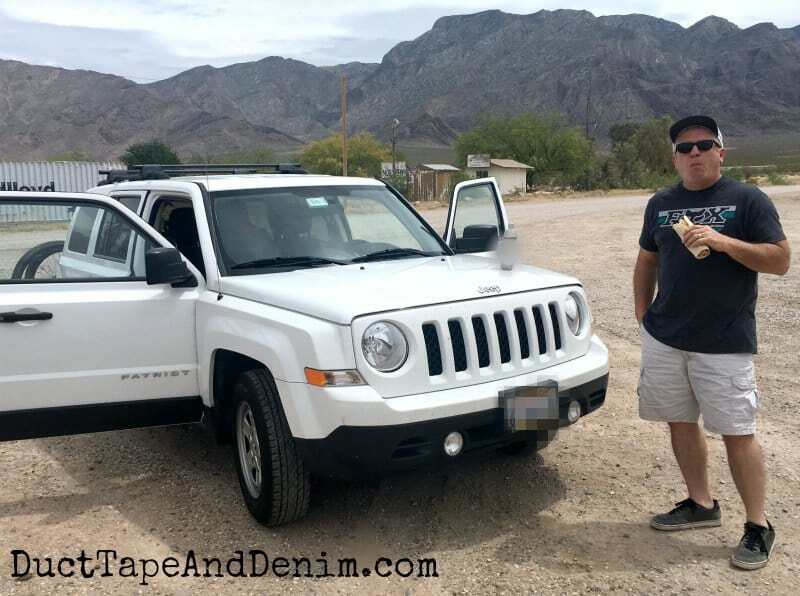 Thanks for reading about our Arizona road trip playlist and don’t forget to enter the sweepstakes! It’s been too many years since we’ve taken a roundtrip and yours sounds so fun. I love the music choices and good snacks are so important.